After living in Japan and teaching English I decided to put together my favourite Kyoto Itinerary. Whether you have 1 Day in Kyoto, Are taking a Kyoto Day trip, are looking for a 2 day Kyoto Itinerary or want to spend 3 days in Kyoto Itinerary – I have you covered for Kyoto. 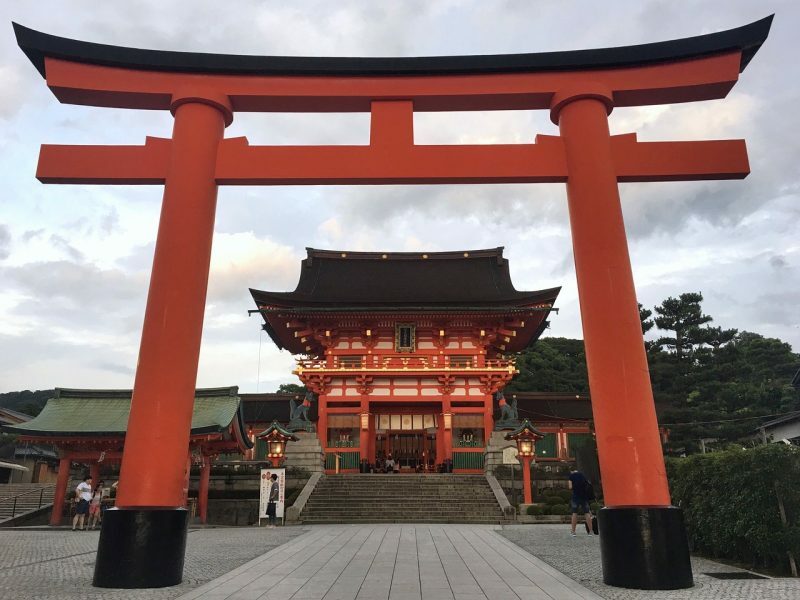 This Kyoto travel blog is your Kyoto Guide for your Kyoto visit and Kyoto Trip. 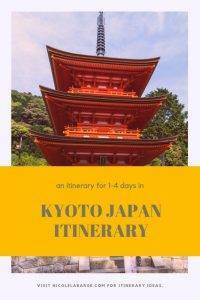 In this Kyoto visitors guide you will find an itinerary for Kyoto, things to do in Kyoto, and what to do in Kyoto. Wondering what to see Kyoto? 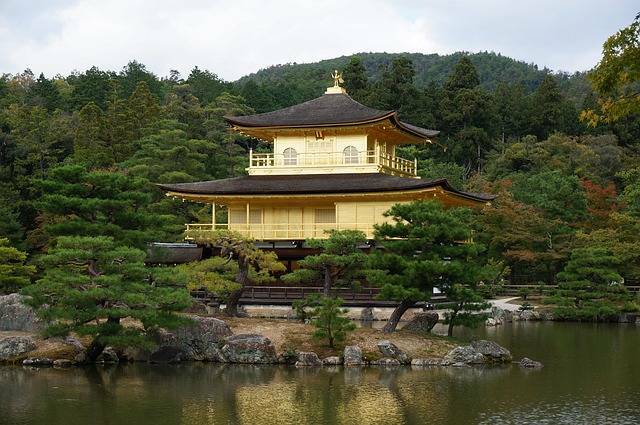 There are many Kyoto must see and Kyoto things to do listed below. This itinerary is put together so you can pick and choose what you want to do. It covers all of the top tourist destinations in Kyoto such as the Bamboo Forest and the Fushimi Inari Shrine plus lot of the Kyoto temples. Wondering how many days to spend in Kyoto? This is a tough question and that’s why I have made this itinerary to cover 1-4 days in Kyoto. 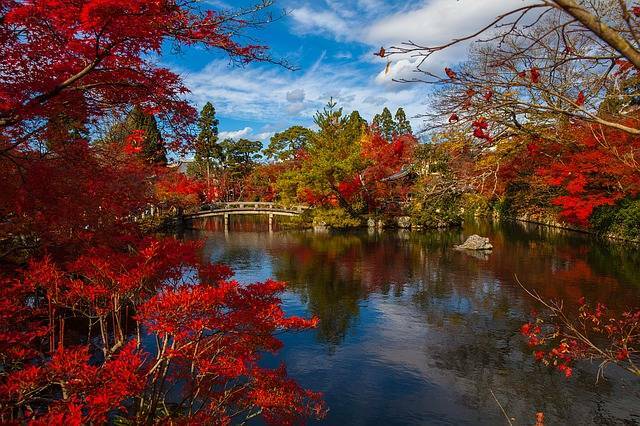 Kyoto is a special city and you are sure to enjoy your time in Kyoto Japan. Yes, you can do Kyoto in one day or even as a Kyoto Day trip but I do recommend you spend at least 3 perfect days in Kyoto. 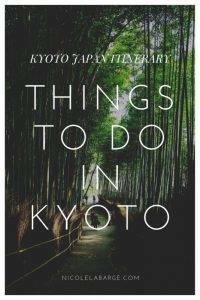 I realize not everyone has that much time to spend in Kyoto so I have created this Kyoto Travel Guide so you can build on it. The 1 day Kyoto Itinerary covers all the highlights. The Kyoto 2 day itinerary builds on the first day and adds new activities. The Kyoto 3 day itinerary builds on the 2 day itinerary and so on. This way you will see what you can do in one day and pick and choose your activities. 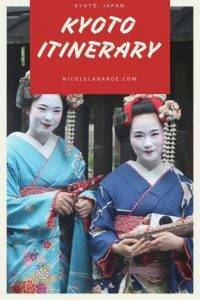 The itineraries below are planned to get the most out of your time in Kyoto and show you inside Kyoto. Morning –Arashiyama and tips on when to visit the Arashiyama Bamboo Grove (hint: its early so you miss the crowds). Start your day early to get to Arashiyama Bamboo Grove. This instagrammable bamboo forest is a very popular attraction. 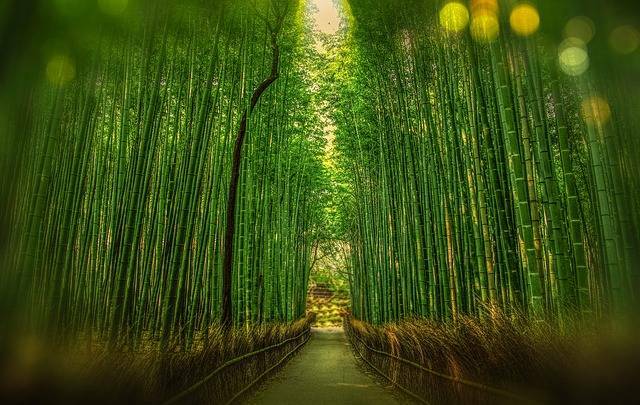 The best time to visit Bamboo Forest Kyoto is as early as possible to get those picture perfect snaps. You can also spend some time getting off the beaten path in this area to find some spectacular scenery. The fastest and easiest way to get to Arashiyama Bamboo Grove is to take the JR Train from Kyoto Station to Saga-Arashiyama Station. Trains start at 7.08am and go every 30 minutes or so. The ride takes about 20 minutes. From the train station it is a 10 minute walk to the Bamboo Forest and it is well sign posted. 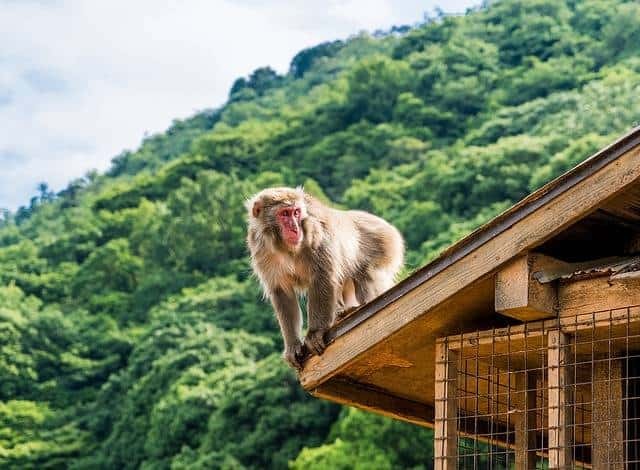 There are also a lot of things to do in Arashiyama. The temples in the area are stunning to visit and the Kameyama koen Park is a little oasis you must see. You can even see snow monkeys here in the winter. There are trails here which take you around the area and have spectacular view points. Tenryu-Ji Temple – this temple is one of the main attractions in Arashiyama. The gardens are beautiful and the temple dates back to the 14th century. I would also recommend Nison-In Temple which is popular because of the maple trees. It’s a beautiful setting. Visit Otagi Nenbutsu-ji Temple and its collection of 1200 statues. This temple is rarely visited but it is such a unique place to visit. The 1200 Rakan statues represent the disciples of Buddha. I would recommend spending 3-4 hours in the area. 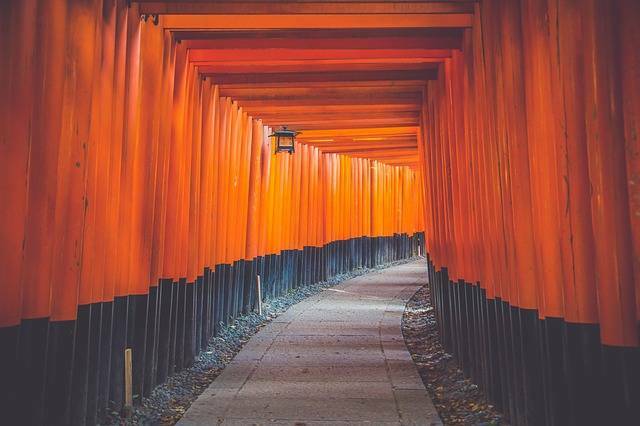 Fushimi Inari Shrine is located on Mt Inari and it is a 233 metre summit to the top which takes about 3 hours. You can reach this famous shrine from the Fushimi Inari Station. They way up to the shrine is clearly marked from the station. This is another one of the most popular sights in Kyoto and there will be a lot of tourists there. My tip is to not try to take photos right at the beginning. Walk a ways along the shrine and you will be able to take a picture of the tori gates as it winds around. There are over 10,000 gates so you are sure to find a spot without any other tourists. Another option is to come later at night. Philosopher’s Walk is found in the northern part of Kyoto’s Higashiyama district. It is a pleasant walk along a stone path by the canal. This area is lined with hundreds of cherry trees which bloom in March/April every year. Even if it is not spring time this is a beautiful walk and along the way you can find restaurants and even temples and shrines. Honen-in Temple is found near the walk. The path is about two kilometres long. At the end of the path about a ten minute walk away you can find the Nanzen-ji temple which is one of the most important zen temples in Japan. You could walk from there and end up in Gion the historic neighbourhood. Wander around Gion which is the geisha district. Check out the section below on things to do in Kyoto at night for restaurant recommendations. If you have 48 hours in Kyoto, you’ll definitely want to explore some of the temples in Kyoto. Sanjusangendo is a popular temple in eastern Kyoto which is famous for its 1001 statues of the goddess of mercy. The temple dates back to 1164 and was rebuilt after being destroyed in a fire in 1264 – still pretty old! The temple is 120 metres long and is Japan’s longest wooden structure. Sanjusangendo is a 20 minute walk from Kyoto Station or a five minute walk from Shichijo Station. Admission is 600 yen. Kiyomizudera Temple is one of the most celebrated temples in Japan and is also a UNESCO world heritage site. This temple dates back to 780 and its name means Pure Water Temple. The landscapes around the temple is stunning especially in cherry blossom season in spring but also when the leaves change in the autumn. The grounds are sprawling and there are many gates and temples to visit here. Hondo is the main hall which stand on the steep cliff of Mt Otowa but you also have the Okuno-in hall which stands directly above Otowa Waterfall. 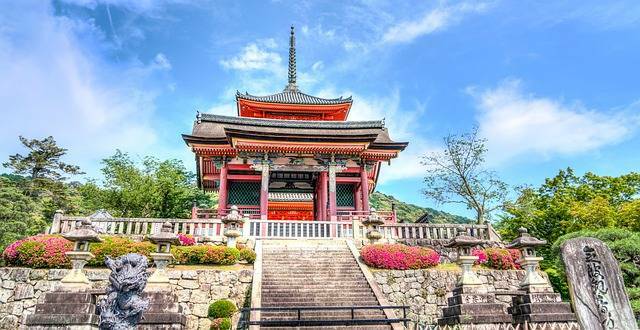 Kyomizudera Temple can be reached by Kiyomizu-Gojo Station and is a 20 minute walk from there. The admission is 400 yen. 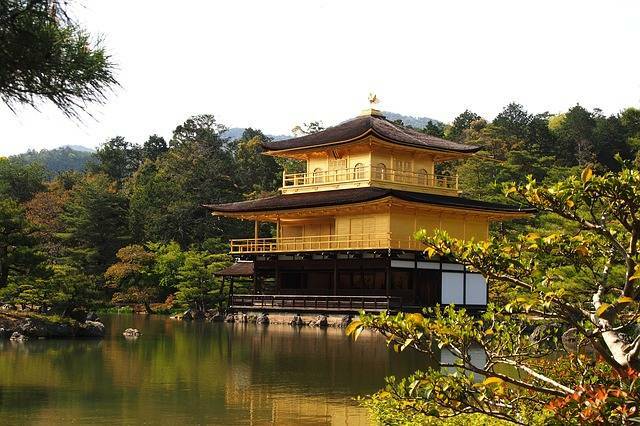 Kinkaku-ji is a Buddhist temple that is covered in gold. That’s a whole two stories of the temple covered completely in gold. 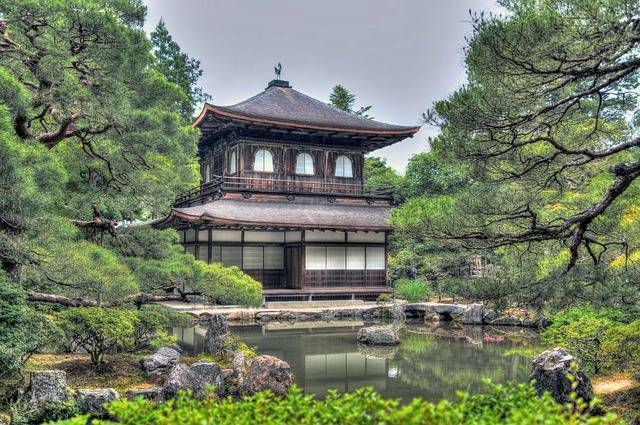 A Kyoto Temple you must see to believe. If you want to get an iconic photo with the temple you’ll need to come early to beat the crowds like most touristy places in Kyoto. One of my favorite things to do in a new city is take a free walking tour. You can join the free walking tour in Kyoto at either 10 am daily or 1.30pm daily. Note – you must click interested on the Facebook page and as long as there is one person interested the tour will go ahead. The free guided walking tours are with an experienced English speaking guide and last two hours walking through the historical streets of Kyoto. You will learn about Japanese culture, religions ad food of Kyoto along with visiting shrines and temples. This is a great way to better understand the city and the culture. The Nishiki Market is over 700 years old and first opened in 1310. This is a great place to experience the Japanese culture and also try out some of the food. You can try everything from meat on a stick, sake, or Japanese pickles. You can also take a food tour of the market followed by a cooking class with a local Japanese guide. A great way to experience something local. Take a cycle tour around Kyoto. This is a great way to learn new stuff about Kyoto and hear the insider guide to Kyoto. Plus one of my favourite things to do is ask the guide where they recommend for lunch or dinner. It always pays to ask a local. After all that exercise walking around Kyoto or cycling around town, its now time to sit down and enjoy some tea. 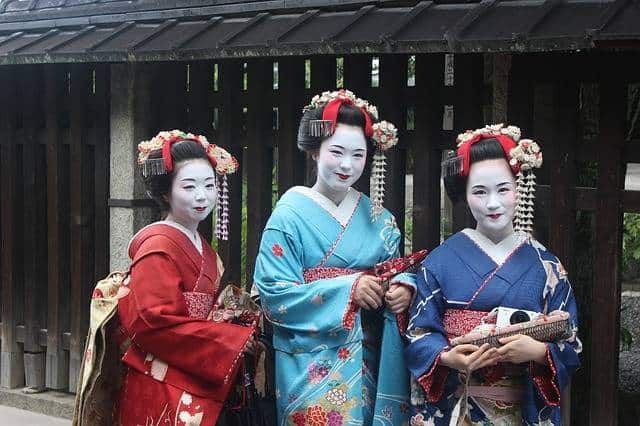 In Kyoto you can experience a traditional Japanese tea ceremony and learn all about the different types of tea and how to make tea all while dressed up in a kimono! You will learn from an English speaking tea master at one of the biggest schools of tea ceremony in Japan. Or if you are hungry and want to learn how to cook Ramen there is a Kyoto Ramen Cooking Experience where you can learn to prepare delicious and healthy ramen with hand made noodles! I love hands on experiences like this to really go in depth into a country’s food culture. Located in the Kyoto Imperial Park, the Imperial Palace used to be the residence of Japan’s Imperial Family until 1868. This is when the capital moved from Kyoto to Tokyo. In the spring you can see cherry trees along Konoe Pond which are in bloom in March/April every year. The grounds of the Palace are beautiful and a lovely place to explore. Free Admission. Take the subway to Marutamachi Station or Imadegawa Station which is closer to the entrance of the Imperial Palace. If you have 4 days in Kyoto, I would recommend spending your last day taking a day trip from Kyoto to nearby Nara. You can take a train at 7am from Kyoto station to Nara and arrive just after 8am at Nara Kintetsu station. This gives you 45 minutes to explore Kofuku-ji temple before going to the Nara Deer Park for opening at 9am to feed the deer. 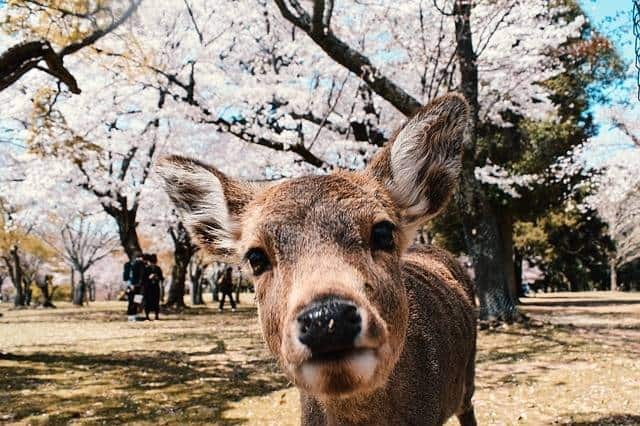 The sacred deer of Nara are famous and you can see them in the Park. Depending on how much time you want to spend in Nara you could spend a full day there. My suggestion is to spend the morning there before heading back to Kyoto to either see a sumo match, go to onsen or just walk around, visit a Japanese garden and enjoy the city. Another option for a day trip from Kyoto is to go to Osaka via bullet train which takes 12 minutes! You can take a bus/cruise tour of the city or explore via go kart! Check out my two day Osaka Itinerary. Pontocho Alley is Kyoto’s nightlife district. At night this street comes alive with endless bars, restaurants, and tea houses. Many of the restaurants overlook the Kamogawa River which is also a great place to hang out at night in Kyoto. This is a great place to go for seafood as Kyoto is not far from the sea. Octopus or squid is a great choice here. Or does beef tickle your fancy? Kyoto-Style Beef Cutlet Katsuushi – this branch of the Japanese restaurant chain specializes in gyukatsu, a deep fried beef dish. Attend a tea ceremony – if you didn’t have time to do this during the day it is a great option to do at night. A traditional Japanese tea ceremony is a must and you can learn all about the different types of tea and how to make tea all while dressed up in a kimono! You will learn from an English speaking tea master at one of the biggest schools of tea ceremony in Japan. Take a night tour of Gion – Kyoto at night. Gion is the district famous for the geishas and one of Japan’s last remaining geisha districts. You can take a tour of this area and learn more about geishas in Japan. Geishas are ladies who are companions and are trained in the art of entertainment. I read memoirs of a geisha years ago and thoroughly enjoyed learning about this aspect of their culture. These women must be captivating to entertain wealthy families. Go to a local sake bar – Torisei Honten in Fushimiku serves up seven different types of sake and also makes cocktails from sake. This is also a great place for a casual meal with plenty of pork and chicken on the menu. It also does sake and food aprings. Nishiki Market is also open at night and there are over 100 food stands and restaurants here. Nishiki Warai is a little restaurant serving up the best okonomiyakai in Kyoto. Okonomiyaki is a savour Japanese pancake or pizza really. It is batter that is fried up and the topped with a wide range of toppings. You can also find lots of places serving up fried noodles, ramen, and other delicious treats like tempura. If you are feeling like sushi, I recommend stopping at Sushi Naritaya in Arashiyama Square. It’s a tiny restaurant off the main road with fresh sushi. Some of the best sushi I have had in Japan. I have put together a list of a few of the best places to stay in Kyoto for all budgets. If you are looking for the traditional ryokan experience, the Tawaray is the best ryokan in Kyoto. It has beautiful rooms, lovely gardens and amazing service but it doesn’t come cheap. Often many of the best ryokans in Kyoto are also very expensive. Hotel Gran Ms Kyoto is a more affordable downtown Kyoto Hotels with comfortable rooms and great service. The rooms are non-smoking (essential in Japan and China) with air conditioning. 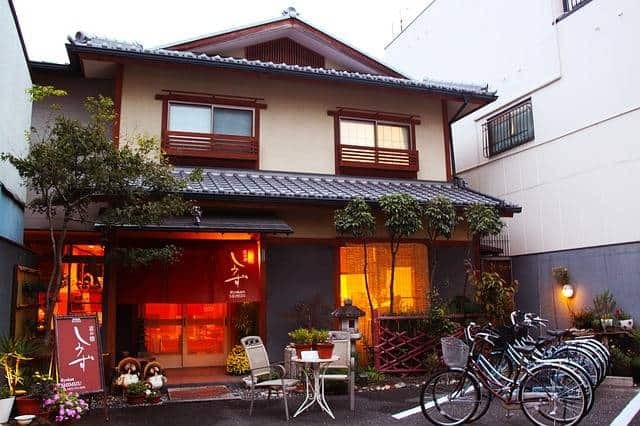 My pick for a budget friendly downtown Kyoto Hotels would be Ryokan Shimizu which is right next to Kyoto Station. Free wifi and non smoking rooms this ryokan is a five minute walk from Kyoto Station. Hotels in Kyoto are not cheap but sometimes you can find a good deal on booking dot com. I hope you enjoyed this Kyoto Visitor Guide – sharing is caring. Pin to save for later! Kyoto is so lovely and you’ve written a lovely guide for the first-time visitor. I was entranced on my first visit. If I may offer another suggestion — one of the highlights of my second trip to Kyoto was eating at Katsukura restaurant in Kyoto Station. 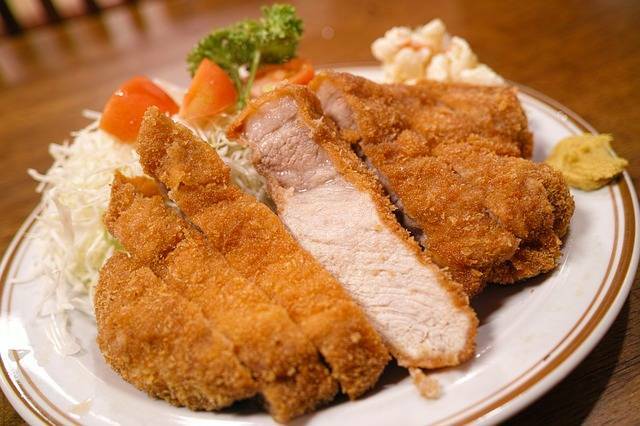 It sounds weird going to the station for dinner, but trust me — the tonkatsu there is FANTASTIC. Kyoto is a beautiful city with so many things to do. I think three days is the perfect amount of time to get a taste of what Kyoto has to offer and if it’s the kind of place you love, you could spend a month and still not be satisfied. I’ve never been in Asia, but if there is only one country I would visit there it’s Japan. Kyoto looks so delightful with those colorful blooms and the bamboo groves. I’d love to spend more than just a few days in Kyoto. There seems to be a lot to see and do there. I would for sure reserve time to visit the Nara Deer Park. Sounds like it would be best to spend at least four days in Kyoto, since there are so many spectacular sights. The Bamboo Forest and the many shrines and temples are just gorgeous. I’d be snapping photos all day! Your post is very thorough and a great resource. I was in Japan a couple of years ago and actually liked Kyoto way better than Tokyo for several reasons. Firstly, I love your itinerary and completely agree with the day-wise suggestions. Fushimi Inari Shrine, Bamboo Grove and the adjoining temple were my favourite places to explore. Also, Kinkaku-ji and Kiyumizudera temples were amazing. A day trip to Nara and Osaka are absolutely recommended as well! This is such a useful post for anyone planning a first time trip to Kyoto. I love Japan. It’s my favourite country but it can be overwhelming too if you don’t plan well. I loved Arashiyama Bamboo Grove and I did manage to duck the crowds. Great tips.